It’s been a while since my last blogpost. Now it’s time to update you on recent activities and to let the cat out of the bag. 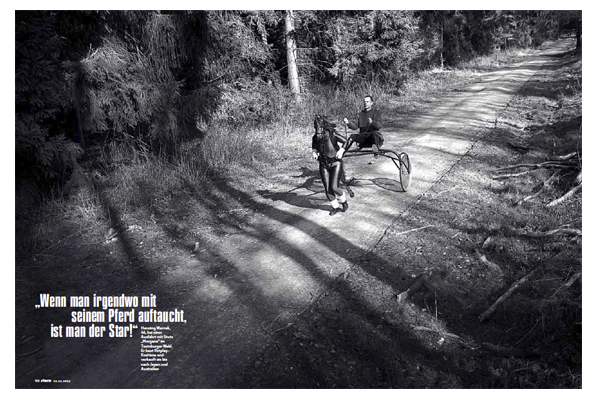 German Stern magazine features my ongoing story „The Candy Crush Project“ in the current issue with the incredible space of six double spreads plus a text page by Nora Gantenbrink under the title „Alles im Lack“! The project deals with different aspects of fetishism and sexual role-play, that is generally considered to be perverted or abnormal. The prevailing perspective on this topic is predominantly shaped by rubber, leather and physical violence. The true bandwidth of fetishes is unequally wider and varies from human horses and masochists, latex-brides and human puppies to slaves and real-life-rubberdolls. Behind many of the often dangerous or potentially harming practices is the desire to satisfy basic human needs such as closeness, security or confidence. Due to the lacking acceptance, many fetishist still feel forced to suppress their needs, what often places themselves into social isolation. On the other hand, the pornification or sexualization of society changes the perception of privacy and intimacy as well as sexuality itself. The capacity and availability of the internet simplifies the exchange of people who share the same sexual preferences or paraphilia. Thus, many fetishists gain a new self-conception. In general, sexual niches seem to become more presentable and still, sexual fetishism remains an unknown or unwanted part of social life. I am really grateful for this beautiful publication that suddendly came out of the blue. As the project is still in progress, I will keep you posted about further activities!